Luciana moved to Washington D.C for graduate school and was immediately overwhelmed by high living prices in the district. On a partial scholarship from American University, Luciana was still struggling to find a place to live, and one that she could afford. Upon contacting the owners, Luciana found out that an elderly woman with dementia was living in the apartment and that her children had created the ad. They were seeking someone willing to look out for their mother, Mary-Jo, on the weekends when her weekday caregiver was off duty. Luciana, in exchange for looking out for Mary-Jo on the weekends, would be allowed to live on the 3rd floor of her Mt. Pleasant home at no cost. For a graduate student who did not have a lot of money to spend on housing, this was a perfect situation for Luciana and she ended up staying for two years. The arrangement also enabled the family to keep their mother comfortably and affordably living in her own house. Suffering from dementia, Mary-Jo often had trouble remembering names of people or how long ago she put the kettle on, but she did know one thing, she wanted to remain in her own home. Luciana explained that it was more than just a direct exchange of rent, for keeping an eye on an elderly woman with dementia. Luciana formed a relationship with this woman and told stories of how when she set off on her weekend runs, the lady would make jokes about not tripping and then wait on the porch for her to return. This exchange was not processed through a timebank, nor did either member involved in the exchange think of it as one. It was merely a reciprocal agreement that benefitted both parties, and one in which they each made a new friend and fostered a caring relationship above and beyond expectations. In some ways Luciana was one step ahead of Timebanks USA, providing respite for caregivers on the weekends. The organization is continuing to seek funding for an operation similar to this – using timebank members to relieve caregivers for just a few hours each week. 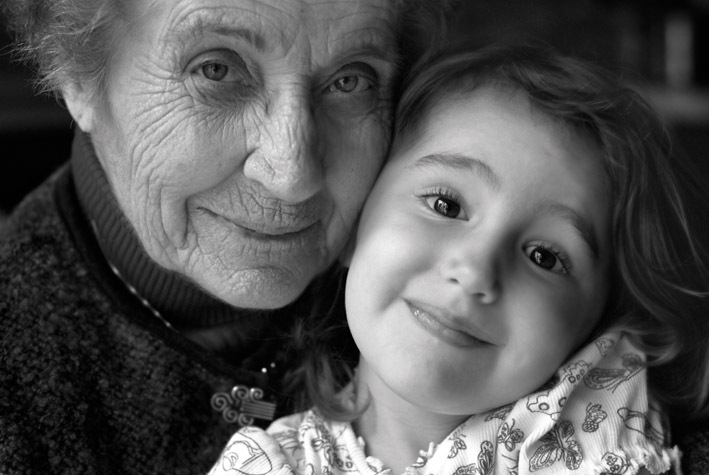 Caregivers in many cases are children or other family members of the seniors being cared for, and they play the invaluable role of enabling those in need of care to continue residing in their own homes. It would be great to be able to value their work and give them some much needed time off every once in a while. If you have similar stories or can speak to the stresses involved in being a caregiver and the need for a little bit of respite, or would like to get involved in our respite program, we would love to hear from you! Either post a message on Facebook or send a quick email to pam@timebanks.org. What a beautiful story! The logistics of caregiving are daunting for even the most dedicated family member, that’s for sure. I was heartened by the outpouring of support I received from timebankers when my father had a massive stroke and had to go live in a nursing home. There is so much emotion around life events like this, whether or not the family member can stay at home or must live in a nursing home. Timebankers can help in many ways. I wanted so to keep my father at home but his physical state was just too unstable to do that. Members instead offered to visit him at the nursing home when I couldn’t be there, to read to him and talk to him even if he couldn’t talk back. They prayed for him at the end in droves. That work is priceless to me–they gave him what the staff could not–love and friendship. (The staff was also really dedicated, but of course their time is limited.) I also got medical mentorship and advice from a retired nurse in long-term care that was invaluable. And when I had trouble with the facility, members led me through the process of complaining (problem solved in record time!) when I might have become lost in red tape. While we of course aim to prevent the move to nursing homes as much as we can, we can also use timebanking if nursing care is required in a facility. The power of timebanking to address these critical issues is hard to fathom sometimes until you hear the stories of neighbors and ideas that fill the need at the time. Some things could never be planned ahead of time, but if we share how we used the timebank, others could build on it. I hope others will share their experiences of caregiving and timebanking to help us develop future programs around community needs.